Calls to action can take many forms but are tricky propositions. Take the launch of the NMA’s Community Support Program (CSP) last October. The goal of this grant program for NMA members was to get more people involved (and therefore the NMA more involved) in local grassroots projects designed to benefit motorists. The initial funding of the CSP was relatively modest at $12,550, and there were no assurances that grant requests would be forthcoming. Yet here we sit less than five months later with 11 grants approved (out of 13 requests) and a shade under $10,000 paid out to finance an array of projects ranging from the presentation of expert testimony before legislative committees to the development of videos publicizing the true nature of red-light cameras. When we initiate the legislative campaign later this spring, the goal will be to grow the CSP, providing members with even more resources to take on meaningful causes in their communities. 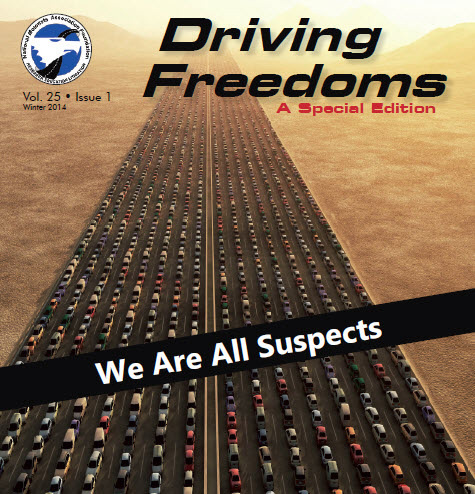 The Winter 2014 issue of the NMA member magazine, Driving Freedoms, contains a much different call to action: Help find and sign new NMA members. Gary Biller challenged each member to reach out to at least three candidates and recruit them to join as supporting members. To help with the effort, the NMA stitched a handout copy of the “Join Us and Be Heard” pamphlet into each copy of Driving Freedoms. 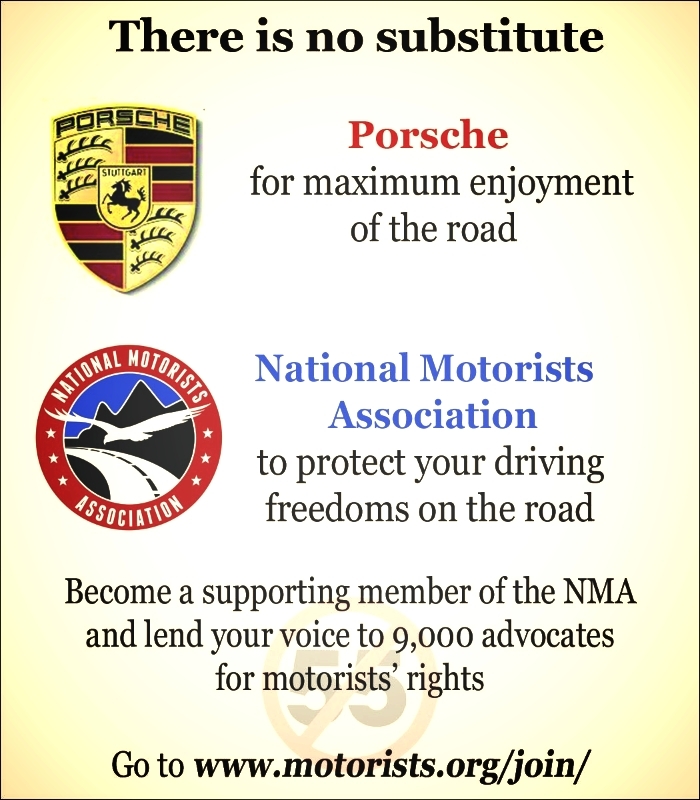 The pamphlet details what the NMA stands for, the key issues facing motorists, the range of benefits afforded to members and of course, how to join. We also dedicated that issue to a single topic, one that is of growing concern: the erosion of a motorist’s right to the presumption of innocence. The magazine is full of accounts of roadblocks, roadside DNA swabs, and invasive body cavity searches drawn from nothing more than a police officer’s interpretation of a motorist’s body language. The collection of actual incidents and commentary in Driving Freedoms will have you wondering why the constitutional rights of motorists seem to fall somewhat below those of non-citizens. The early response to the call to action in Driving Freedoms has been good. One member bought three NMA memberships to give out as door prizes at his regional Porsche Club’s annual banquet. (Over the past month, we actually have received more NMA gift membership purchases—a $10 discount from the usual $35 annual supporting membership—from members than we have in the previous four years combined. Thank you!) The same member also bought ad space for us in the club’s monthly newsletter and is thinking of awarding more NMA memberships at various motocross events during the year. Several members have requested copies of the magazine to distribute. Hundreds of extra copies were printed during the initial production run in anticipation of special requests. The “Join Us and Be Heard” pamphlets are available on a standalone basis. They fit neatly into #10 envelopes and make excellent handouts.Please join us in the campaign to increase NMA membership by telling us about promotional opportunities in your area and by distributing our literature—ask and ye shall receive—to potential members. By getting involved, you can keep the NMA strong and make a difference for motorists in your own community.